An important update is required for customers who process payments through our Paypros/PPI PayMover integration. Customers who do not apply this update by February 28th, 2018 will not be able to process payments through this integration. 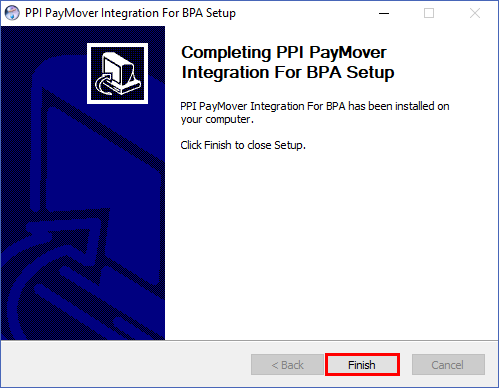 All BPA customers who are processing payments through PayPros, PPI, or now OpenEdge using the Innovo Gateway platform. Customers who are using this platform to process payments through BPA must update the integration before February 28th, 2018. Customers who fail to do so will not be able to continue processing credit cards. The PCI Securiy Standards Council has determined that older encryption technologies have vulnerabilities and are requiring all payment environments to be updated to the more secure TLS 1.2 encryption protocol. OpenEdge is updating the Innovo platform to comply with these requirements. This means you must also update your BPA integration module to support the newer TLS 1.2 encryption. 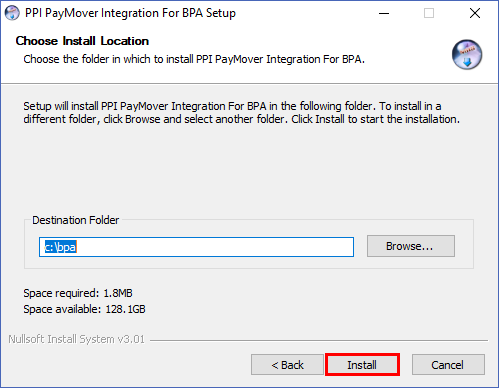 This update is included in the current update of BPA, or can be installed separately. To obtain the current update, please contact our support department at 801-336-3303. When prompted to Run or Save the file, select run. 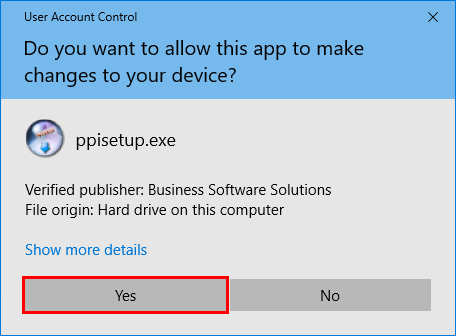 Windows User Account Control may ask if you want to allow this app to make changes to your device. Select Yes. Follow the prompts on the screen to complete the installation. Please give us a call at 801-336-3303 or email us at sales@bpapos.com to let us know you have successfully completed the update.